Drive to the very top of road #191 on the north side, through Palmer. You will find a sign with an arrow pointing to the Mt. Britton parking. The trail begins there. The Mt. Britton lookout tower, on a small peak, is a great hike. 45 minutes up, less down. 3,088 ft. high. 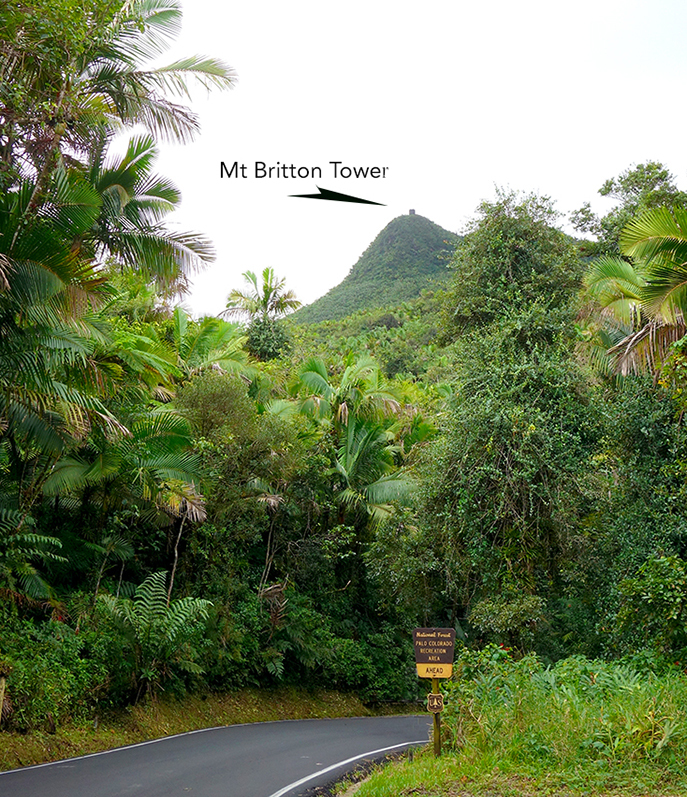 It is a wonderful overlook of the El Yunque Rain Forest, on a clear day you can see forever! On a cloudy day, with a little wind, the clouds are swirling around you. Great experience, well worth the hike up. There are 3 covered rest stations on the way up. The trail leads you up to a road, turn right on the road and walk a small distance up to the path marked Mt. 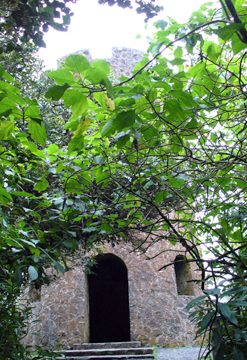 Britton Tower. You walk through the Sierra Palm forest as you climb. The path itself is paved, perhaps narrow but well maintained. If you wished to continue up to the top of El Yunque the path continues from here ( about another hour up). Much easier to walk up the road from Mt. Britton. Why Do Some Rainforest Trees Grow ”Buttress” Roots? 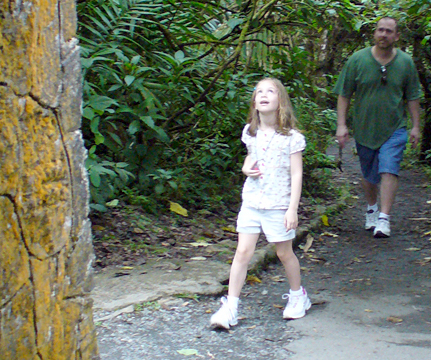 Some of the trees of the El Yunque National Forest’s upper zones have adapted to its unique soil, topography and humid climate conditions by growing “buttress roots,” a type of prop root that grows at the base of the tree trunk, extended and flattened along its upper surface to form a support for the tree. A good example of this adaptation is the Sierra Palm (Prestoea montana); rather than burying its roots, this tree grows exposed “buttress” roots which help it cling to,unstable soils, steep cliff edges and river banks in the forest’s 5,000 acre (2000 hectare) Sierra Palm Life Zone which begins in the El Yunque National Forest above 1400 feet in elevation. Read more about rainforest soils, climate, topography and the Sierra Palms. Camping trip at the top of El Yunque. Camping is allowed but there are no facilities and you need a permit.